Just arrived Pillow Boxes in 3 sizes. Price below is for unprinted 350gsm pillow box. 25 per pack. Also available printed. Just arrived Pillow Boxes in 3 sizes. Price below includes 1 colour 1 position print. 25 per pack. 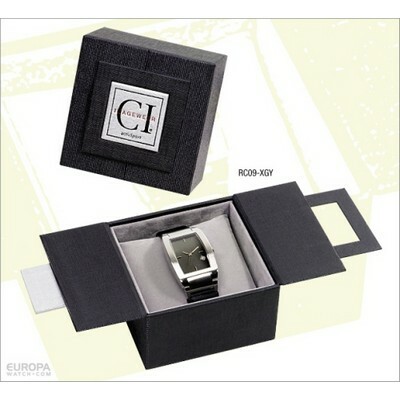 Card Giftbox, with pillow inside, can be branded one colour, measures 100mm by, 100mm, by 58mm. Stunning packaging, keeping watch well protected.. Fearures: 50 pcs per carton, 9 Kgs, 35x45x35 cms. Decoration Option: 1-2 col print on lid. Decoration Areas: 1-2 col print on lid. Custom Field: 3-5 weeks from art approval. 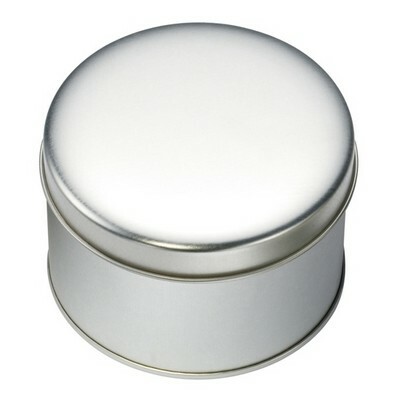 Alloy round tin cannister can be branded one to two colours, measures 95mm in diameter and 63mm high. Effective packaging, keeping watch well protected.. Fearures: 50 pcs per carton, 9 Kgs, 35x45x35 cms. Decoration Option: 1-2 col print on lid. Decoration Areas: 1-2 col print on lid. Custom Field: 3-5 weeks from art approval. 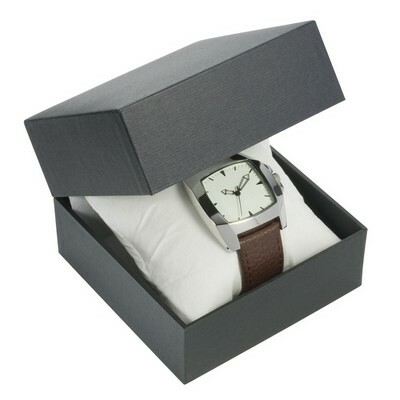 Cardboard Giftbox, measures 26.5mm by, 25mm, by 5.5mm, can be branded one colour. Packaging, keeping watch well protected.. Fearures: 50 pcs per carton, 9 Kgs, 35x45x35 cms. Decoration Option: 1-2 col print on lid. Decoration Areas: 1-2 col print on lid. Custom Field: 3-5 weeks from art approval. Cardboard Giftbox, measures 75mm, by 70mm, by 65mm, can be branded one colour, great design.. Fearures: 50 pcs per carton, 9 Kgs, 35x45x35 cms. Decoration Option: 1-2 col print on lid. Decoration Areas: 1-2 col print on lid. Custom Field: 3-5 weeks from art approval. 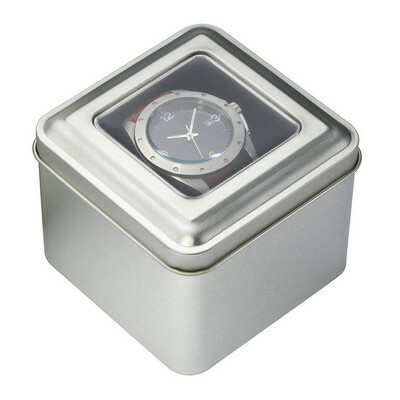 Alloy square tin with clear window on tin, meaasures 85mm, by 85mm, by 70mm. 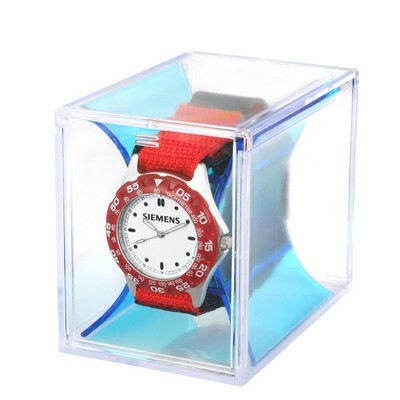 Effective packaging, with watch visable. . Fearures: 50 pcs per carton, 9 Kgs, 35x45x35 cms. Decoration Option: 1-2 col print on lid. Decoration Areas: 1-2 col print on lid. Custom Field: 3-5 weeks from art approval. Compact and lightweight circular tub packaging. White plastic bottom with clear plastic lid. 83mm wide, by 71mm high. This option makes for great protection as well as very beautiful display.. Fearures: 50 pcs per carton, 9 Kgs, 35x45x35 cms. Decoration Option: 1-2 col print on lid. Decoration Areas: 1-2 col print on lid. Custom Field: 3-5 weeks from art approval. 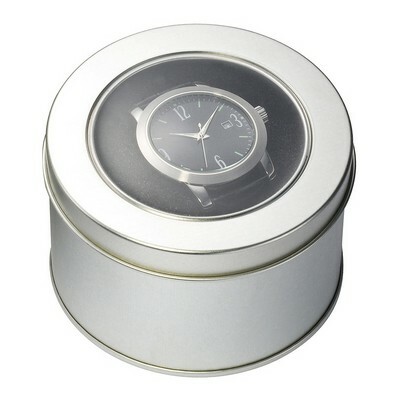 Round Alloy tin with clear window on lid, measures 95mm diameter, by 60mm in height, effective packaging, with watch visable.. Fearures: 50 pcs per carton, 9 Kgs, 35x45x35 cms. Decoration Option: 1-2 col print on tin or lid. Decoration Areas: 1-2 col print on tin or lid. Custom Field: 3-5 weeks from art approval. 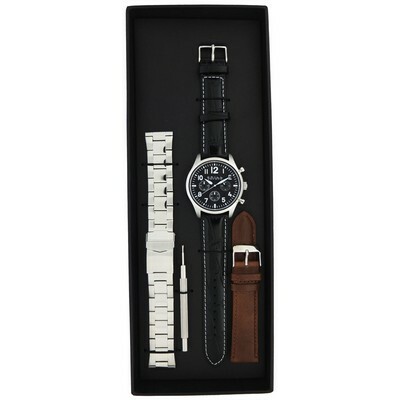 Strong Cardboard gift box that measures 280mm in length, by 100mm in width, by 25mm in depth, can hold a watch plus extra bands and tool if required.. Fearures: 50 pcs per carton, 9 Kgs, 35x45x35 cms. Decoration Option: 1-2 col print on lid or foiling. Decoration Areas: 1-2 col print on lid or foiling. Custom Field: 3-5 weeks from art approval. Compact and lightweight rectangular frosted plastic packaging. 260mm length, by 55mm wide, by 16 high. 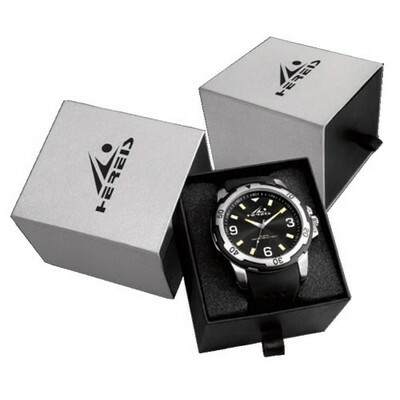 This option makes for good protection and display of watch.. Fearures: 50 pcs per carton, 9 Kgs, 35x45x35 cms. Decoration Option: 1-2 col print . Decoration Areas: 1-2 col print . Custom Field: 3-5 weeks from art approval. 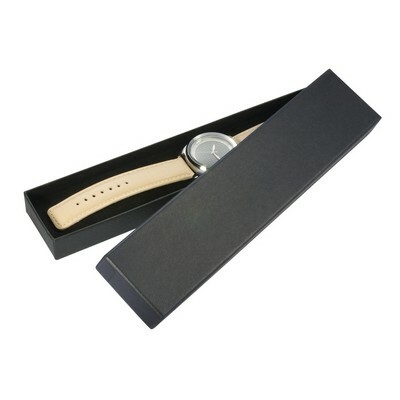 Solid cardboard box with hinge of rear, pillow enclosed so watch sits nicely, one colour branding, foil on lid, measures 100mm by 100mm, by 75mm.. Fearures: 50 pcs per carton, 9 Kgs, 35x45x35 cms. Decoration Option: 1-2 col print on lid or foiling. Decoration Areas: 1-2 col print on lid or foiling. Custom Field: 3-5 weeks from art approval. Compact and lightweight packaging. clear plastic outer with tinted plastic inner. 90mm in length, by 61mm width and 76mm high. This option makes for great protection as well as great display.. Fearures: 50 pcs per carton, 9 Kgs, 35x45x35 cms. Decoration Option: 1-2 col print on lid. Decoration Areas: 1-2 col print on lid. Custom Field: 3-5 weeks from art approval. Features: Recycling is doing a great thing for environment conservation. That’s the idea with this Recycled Cardboard Pen Pouch. It is a great packaging for pens to be distributed as a promotional product. Aside from protecting the pen before releasing them to clients or consumers, it also gives the gifting a more personal touch due to its well-thought-about packaging. Pen sold separately. Everyone uses a pen caddy. 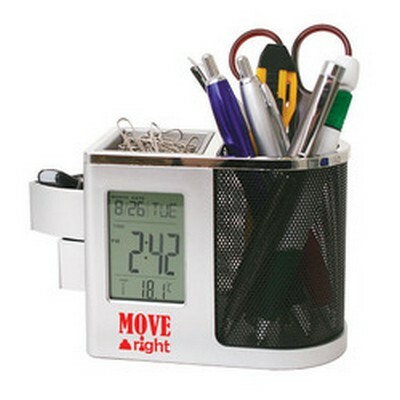 This great caddy comes with a clock, timer, alarm, calendar & thermometer. There?s space to store paper clips, elastic band & sundry all in a beautifull silver finish. Supplied in a gift box. Batteries Included.